Such a rush to publish, I forgot to insert my intro!! Christmas is around the corner and for many, it is a difficult time… I hope for all, to find the joy again. Thank you, Sammi Cox, for hosting this weekend prompt. Today, I felt inspired…. 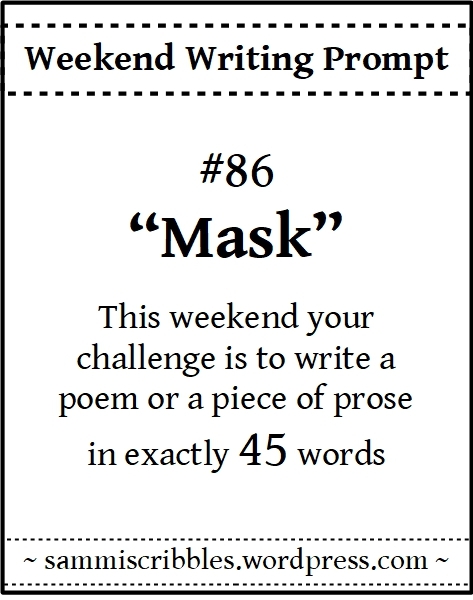 This entry was posted in Love, Poetry, Weekend Writing Prompt, Well-being and tagged Hiding, Joy, Masks, Sorrow. Bookmark the permalink. To tuck such beauty into brevity, it’s the literary equivalent of making a delicious fruitcake! Seriously, you nail it every time with these and this one . . in keeping with the reason for the season, it tastes like marzipan icing. You are the sweetest (maybe you ate too much marzipan…) but I shall still take it! You mean I was on a marzipan high? It was a good ‘un though! There is so much truth to this that it is scary. Nicely done, Dale. Loved the photo too. I think it was a good choice. Thank you. Sometimes we wonder if we had a good idea or not. Glad you have confirmed, I did! Love your last three lines. Right back at you and yours!! Nicely done, Dale–a wonderful message! Thank you, Andrea. The release! You hit this one out of the ball park and across the freeway. Beautifully done. Thank you, my friend. That is high praise indeed! Lotsa love and holiday hugs!! So true for so many! And I hope that more will find that they can be who they are, as they are, with all their complicated feelings and realities … and know that it is all as it should be. Any day. Every day. Hugs! Well done! Too true. And yes, I do wish more people would more open. Yep! We do our bestest to be our bestest and it can perhaps sometimes help others be/feel their betterest. And that is the bestest of the bestest answers! May this reach the eyes and heart of someone who really needs to know that it does get better.. Yes! Thank you for saying that!! A solid take, Dale! Excellent. I can see why you were inspired, as I am by those Venetian Ball masks. No time to write, except comments. Time to bake! I feel ya, Resa. Time is a-ticking! Excellent! Your wisdom is so clear in this. Perfect for this time of year when memories can be especially painful. Thank you, kind Lady! Guess life experience comes in handy. That’s a great first line. It grabs your attention and doesn’t let go. The end was so perfect. 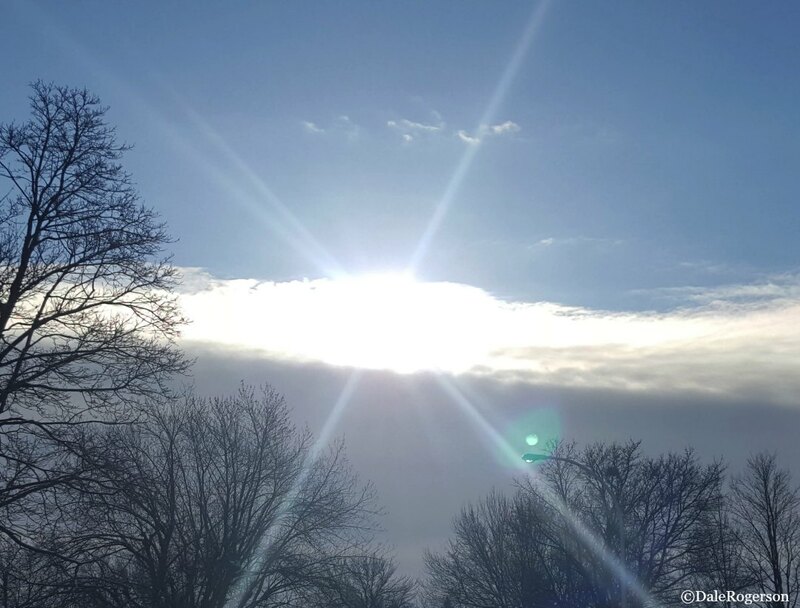 Aren’t we all suns behind clouds. I loved all 45-words. 👏 bravo! Aww thank you, Karen. I like to think we are!